Grain Tower is on the Medway mudflats & is reached by tidal causeway or boat. 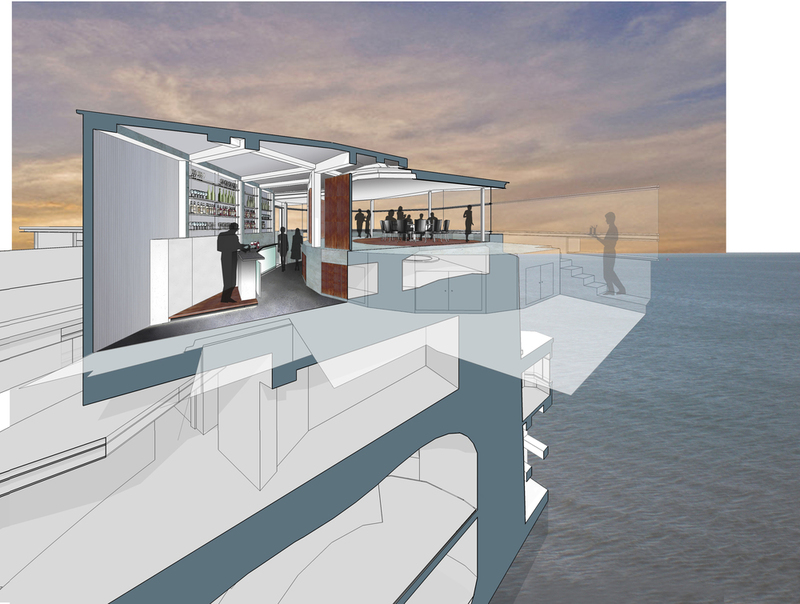 WT Architecture were appointed as Architects to develop these designs convert the derelict fort into a corporate retreat. 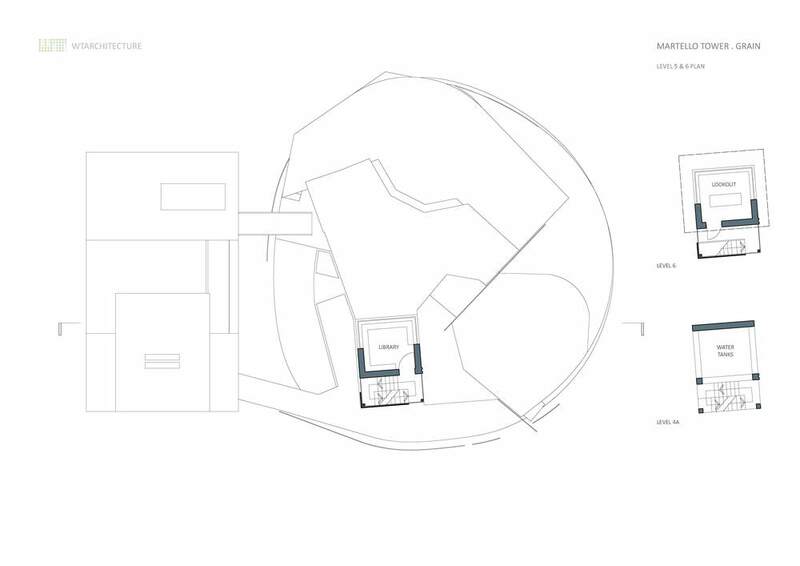 New piers are proposed and a series of function rooms occupy the complex vertical labyrinth, culminating in a dining space in the main gun emplacement. In August 2014 the structure was put up on the market!